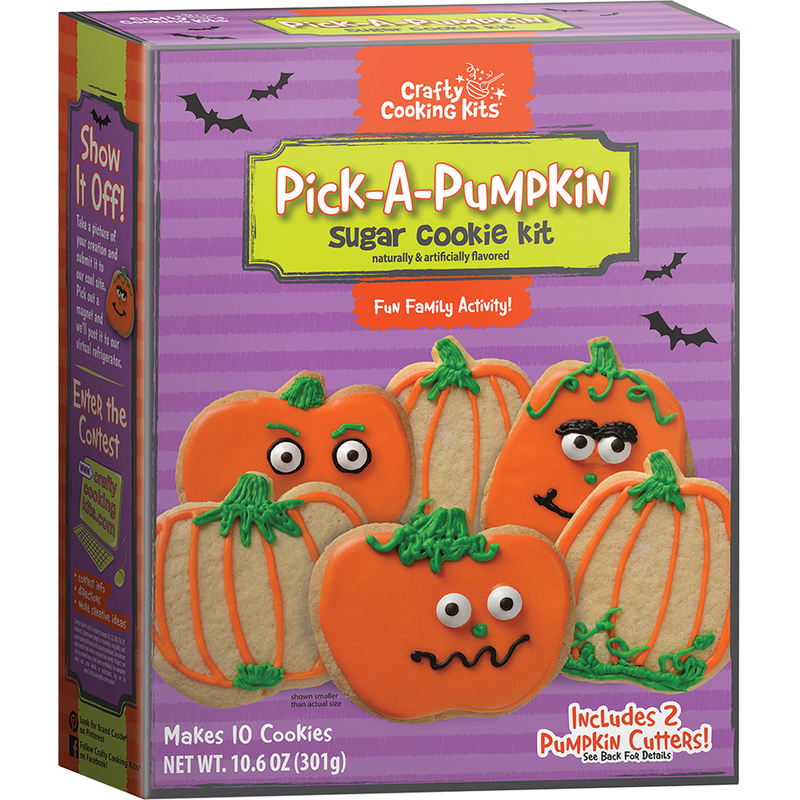 Create your own pumpkin patch at home this Halloween with the Pick-A-Pumpkin Sugar Cookie Kit. 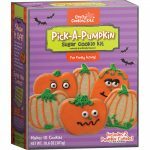 If you have a real sweet tooth, you can cover the whole pumpkin in royal icing! Icing Pens: Sugar, Partially Hydrogenated Soybean and Cottonseed Oil, Water, Corn Syrup, Mono and Diglycerides, Salt, Food Starch-Modified (Corn), Red 40, Blue 1, Potassium Sorbate (Preservative), Polysorbate 60, Artificial Flavor, Titanium Dioxide Color, Yellow 5, Yellow 6, Citric Acid, Sodium Benzoate (Preservative). Color Powder: Dextrose, Yellow 6. Candy Eyes: Dextrose, Corn Starch, Dextrin, Sugar, Magnesium Stearate, Red 40, Shellac, Yellow 5, Gum Arabic, Glycerin, Artificial Flavor, Carnauba Wax, Blue 1, Gelatin. Adults: Preheat oven to 350°F. Lightly grease baking sheet with butter or cooking spray. Wash cutters in warm, soapy water and dry well. 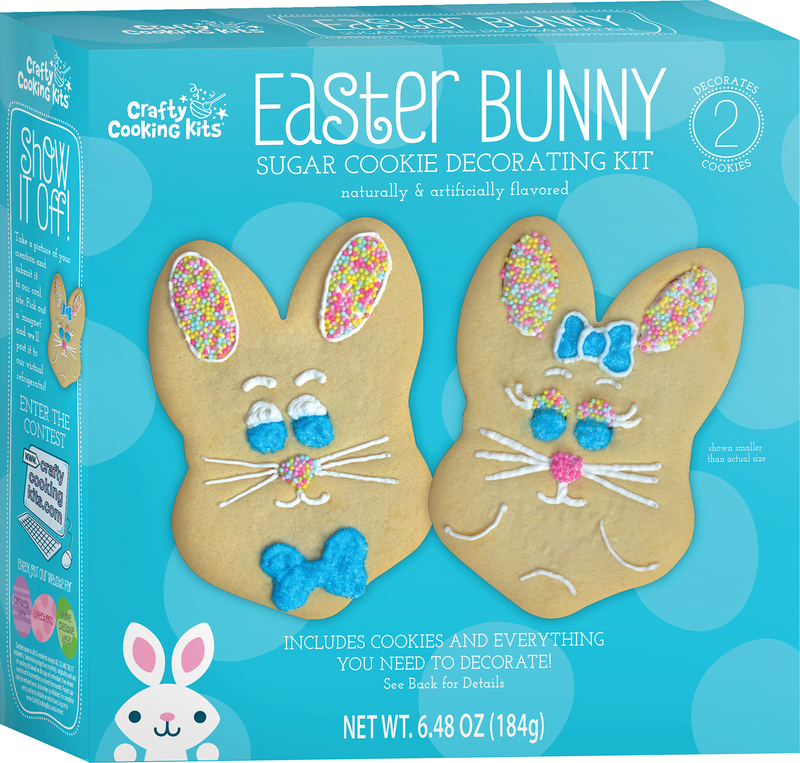 Kids: Combine cookie mix, butter and egg*. Mix until well blended. 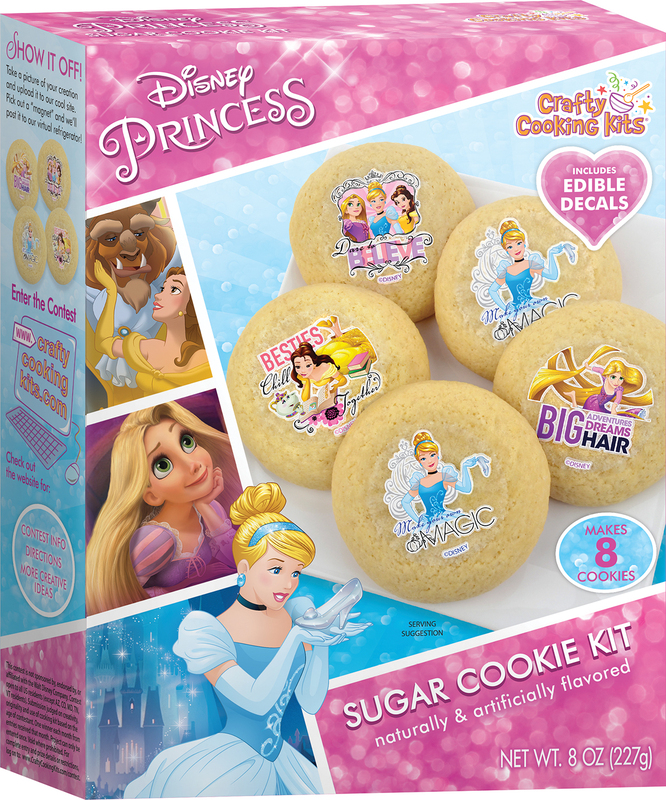 On a lightly floured surface, roll cookie dough to 3/16-inch thick. Cut shapes with cutters, gathering and rerolling dough as necessary. Place 2 inches apart on prepared baking sheet. 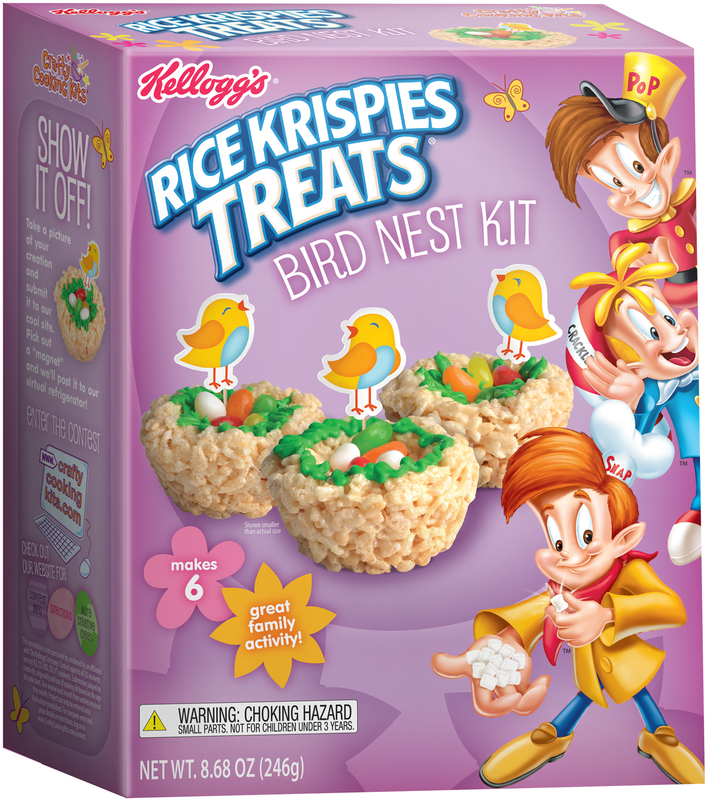 Adults: Bake for 12 to 15 minutes or until edges are golden. Let cookies cool on baking sheet for 1 minute. Transfer to rack and allow to cool completely. Kids: In a small mixing bowl, combine icing mix, orange color powder and water; stir until dissolved. Add powdered sugar and whisk with a fork until smooth. Empty candy eyes into a small bowl. Adults: Spread icing over cooled cookies. If you wish to make stripes, insert the piping bag into a tall glass and pull edges down over glass to hold open. Use a spatula to fill with icing. Twist top to close, cut a small tip off of the piping bag, and pipe stripes as desired. Kids: Press eyes into place as desired. Allow icing to set for 30 minutes. HINT: Placing the cookies in the refrigerator will speed up the process. 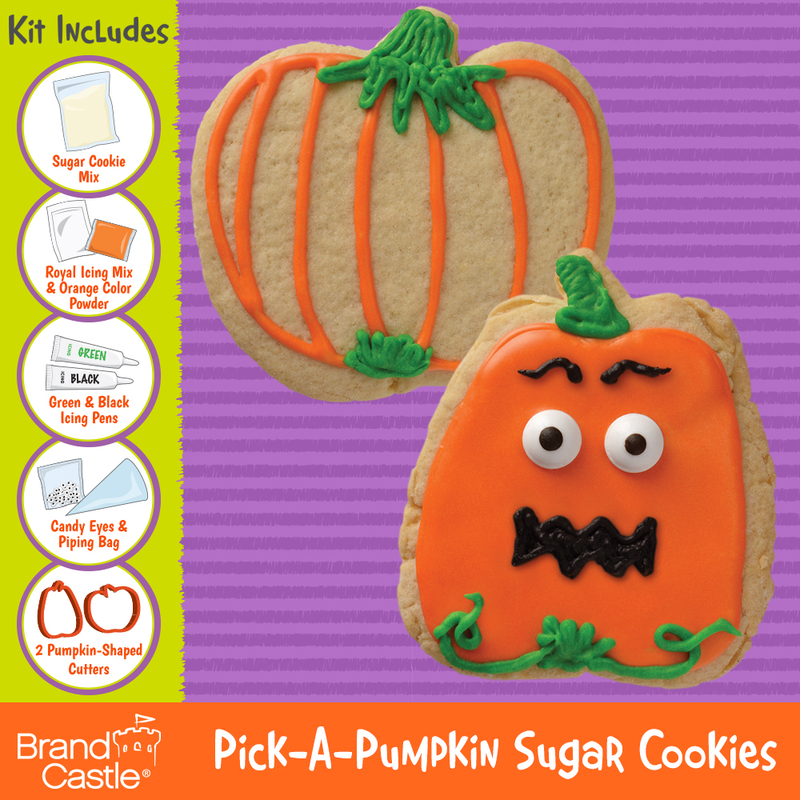 Kids: Cut tips off of the icing pens and add jack-o-lantern facial features and leafy embellishments. Refer to box for inspiration. Place finished cookies on a platter and enjoy! * High Altitude (over 3500 ft): Add 3 TBSP flour and 2 TBSP water to mix. Mix as directed. Place dough in refrigerator for 10 minutes before beginning rolling process.